One of the most frustrating vision problems is the loss of reading vision caused by a normal, age-related condition called presbyopia. Presbyopia affects virtually everyone some time after age 40 — even if you've had "perfect" 20/20 vision most of your life or you've had your eyesight corrected with LASIK or PRK when you were younger. In the past, the usual remedy for presbyopia was to wear reading glasses or multifocal eyeglasses, such as bifocals or progressive lenses. A number of attempts have been made to develop a surgical correction for presbyopia over the years. Some, such as conductive keratoplasty (CK), initially showed promise, but haven't gained widespread use by refractive surgeons. approval for use in the United States, and new procedures still in development or approved only outside the U.S. Developed by AcuFocus, the Kamra corneal inlay received FDA approval for use in the U.S. in April 2015. It also is commercially available in nearly 50 countries worldwide. The Kamra inlay is designed to reduce or eliminate the need for reading glasses among people between the ages of 45 and 60 who have good distance vision without glasses but have problems seeing up close due to presbyopia. The Kamra inlay is very small and thin — just 3.8 millimeters (mm) in diameter and 6 microns thick (about half the thickness of plastic wrap for storing food). It is opaque, with a tiny (1.6 mm) opening on the center. The inlay is surgically implanted in the central cornea, directly in front of the pupil of the eye. The central opening in the Kamra inlay creates a pinhole camera effect, expanding the natural range of vision. This sharpens near vision while maintaining clear distance vision. The Kamra inlay typically is implanted in the non-dominant eye. This allows both eyes to be used for distance vision, while the inlay sharpens near vision in the non-dominant eye. The procedure to implant the Kamra inlay takes less than 15 minutes and can be performed in the eye surgeon's office. No stitches are needed. Healing time may vary from person to person, but most people are able to resume their normal activities, including returning to work, within 24 to 48 hours after surgery. The Raindrop Near Vision Inlay (ReVision Optics) was a small, transparent corneal inlay that gained FDA approval for presbyopia surgery in June 2016. Though many patients and surgeons were pleased with the performance of the inlay, it was not a commercial success. ReVision Optics closed its doors and the Raindrop inlay was discontinued in January 2018. The Presbia Flexivue Microlens is another corneal inlay designed to improve near vision. Developed by Ireland-based Presbia PLC, this device has received a CE Mark allowing it to be commercially available across Europe, but it is not yet FDA approved for use in the United States. The clear Presbia Flexivue Microlens inlay measures just 3.2 mm in diameter and is available in a range of powers, depending on the patient's near vision needs. The inlay can be removed and replaced with a higher or lower power lens if needed. A European study of the Presbia Flexivue Microlens revealed that 97 percent of people said both their distance and near vision was either good or excellent after the procedure without reading glasses. A clinical trial required for FDA approval of the Presbia Flexivue Microlens procedure commenced in 2014 and results are expected in 2017 or later. Another surgery for presbyopia that can reduce the need for reading glasses is monovision LASIK. In this technique, the LASIK surgeon fully corrects the distance vision of one eye (usually the dominant eye), and intentionally makes the non-dominant eye mildly nearsighted. Monovision of any kind — whether it's monovision LASIK or monovision with contact lenses — involves some compromise. Though the two eyes continue to work together as a team, distance vision typically is not as crystal-clear after monovision as it would be if the non-dominant eye wasn't nearsighted. Still, most people who undergo monovision LASIK feel the convenience of being able to see acceptably well at all distances without glasses is worth the tradeoff of accepting the minor loss of clarity in distance vision that monovision entails. Conductive keratoplasty (CK) uses low-level, radio frequency energy to shrink collagen fibers in the periphery of the cornea. This steepens the central cornea, in effect lengthening a too-short eyeball and provide more up-close focusing power. A surgeon performing CK first numbs the eye. A circular treatment pattern then is imprinted in ink on the cornea. This pattern helps guide a tiny probe as radio waves are applied to shrink collagen. The treatment works resulting in better near vision. In a monovision technique called NearVision CK (Refractec), conductive keratoplasty is performed on one eye only — usually the non-dominant eye — to correct presbyopia in a person who can see well in the distance without glasses or contact lenses, but who needs help with near vision. Again, it's a good idea to try monovision with contact lenses or a trial lens in the doctor's office before undergoing NearVision CK to make sure you'll adapt to it. 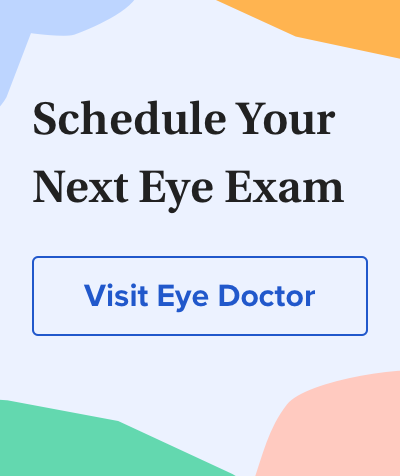 After the three-minute procedure, you'll likely notice improvement in your reading vision, but it can take a few weeks before you reach the final level of vision correction. One attractive feature of CK is that it is minimally invasive. Some people experience tearing, foreign-body sensation and/or vision fluctuation, but usually this is only temporary. Refractive lens exchange (RLE) is the removal and replacement of the eye's natural lens with an artificial intraocular lens (IOL) to improve vision. The procedure is very similar to cataract surgery, but in RLE the natural lens being removed has not yet become cloudy with a cataract. Refractive lens exchange can effectively reduce the need for reading glasses with the use of a multifocal IOL or an accommodating IOL. Both of these types of premium IOLs can restore significant near vision while providing clear distance vision without glasses. Another option is to have your surgeon give you a monovision correction with refractive lens exchange. Different zones in a multifocal artificial lens correct vision at near, intermediate and far ranges. In an investigational procedure known as multifocal LASIK or presbyLASIK, similar zones are created on the eye's clear front surface (cornea) with an excimer laser to correct presbyopia. PresbyLASIK is an investigational procedure, which is not yet FDA-approved. U.S. clinical trials investigating the effectiveness and safety of the procedure currently are being conducted.